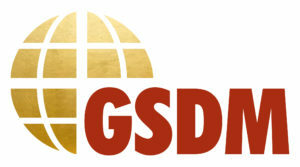 Global Security and Disaster Management Limited (GSDM) is an innovative company uniquely offering specialist legal and inter-disciplinary technical expertise, analysis, capacity development and project management across wide-ranging security and disaster risk mitigation/management.GSDM is able to operate at intersections between wide-ranging security and disaster risk management issues, including the growing inter-connectedness between these traditionally separate sectors, in an increasingly complex landscape of threats, crises, hazards and disasters.Our technical expertise includes CBRN, counter-terrorism, organised crime, piracy, armed conflict, emerging technologies and artificial intelligence (e.g. dual use technology, unmanned systems, robotics), cyber, CNIs, emergency preparedness and response, risk mitigation and resilience.As such, GSDM offers the breadth and depth of technical expertise – complimented by innovative, strategic, multi-dimensional thinking – necessary to identify and effectively address critical gaps and vulnerabilities. GSDM is pleased to work or partner with all sectors, including public and private, science and technology. Global Security and Disaster Management Limited (GSDM) is a young dynamic, forward-thinking consultancy company with unique specialist legal expertise across the spectrum of security and disaster issues. Its inter-disciplinary vision and capacity enable GSDM to operate at the intersections between legal, social, political, technological, scientific and other aspects of wide-ranging security and (disaster) risk management issues. Its technical expertise includes: counter-terrorism, organised crime, cyber, arms control, armed conflict, serious international crimes, CBRN, nuclear proliferation, emerging technology, artificial intelligence, human rights, due diligence, (disaster) risk mitigation, governance, global health, victims, environmental, early warning systems and disaster communication. This expertise, combined with innovative and multi-dimensional approaches, enables GSDM to advise on both more traditional security and policing issues, as well as the growing inter-connectedness between security and risk mitigation in an increasingly complex landscape of threats, crises, hazards and disasters. Significant, unnecessary gaps and vulnerabilities may exist within related systems, procedures and frameworks due to rigid conceptual and institutional divisions between security and risk management; whereas more integrated multi-hazard approaches, traversing both security and (disaster) risk mitigation paradigms, may prevent or at least mitigate the (disaster) impacts of some hazards. Part of this complex tapestry of risk and vulnerability relates to emerging technologies, such as the adequate, appropriate regulation of drones; privacy considerations for AI surveillance innovation; or ensuring the integrity of the supply chain for dual use technology. GSDM can assist clients with comprehensive, workable solutions responding to such traditional and emerging threats, risk and vulnerabilities, from legal and inter-disciplinary perspectives.